Nasa's plans for an all-female spacewalk have fallen through - at least in part because the agency doesn't have enough spacesuits that fit the astronauts. But in a press release on Monday, Nasa said its plans had changed, "in part" due to a shortage of outerwear. McClain had "learned during her first spacewalk that a medium-size hard upper torso - essentially the shirt of the spacesuit - fits her best." Only one such top can be made by Friday, the agency said, and it will go to Koch. When McClain took part in a spacewalk last week, she became the 13th woman to do so, Nasa says; Koch will be the 14th. McClain is now "tentatively scheduled" to perform her next one on 8 April. The first woman to perform a spacewalk was the Soviet cosmonaut Svetlana Savitskaya, 35 years ago. 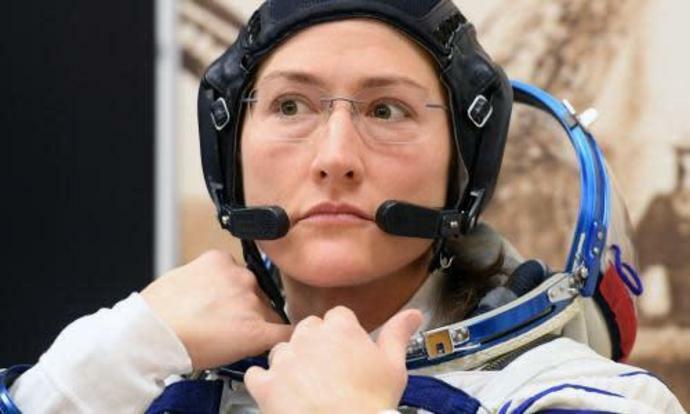 More than 500 people have been into space, but only 11% have been women, Reuters reported. But Koch and McClain were both part of Nasa's 2013 class, which was half female.